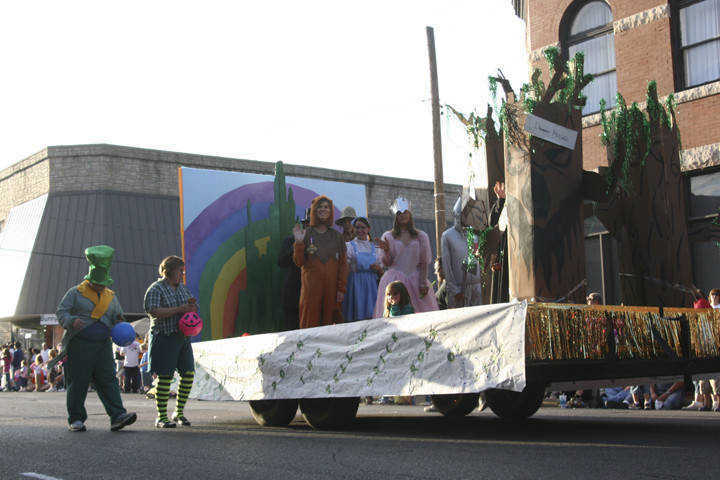 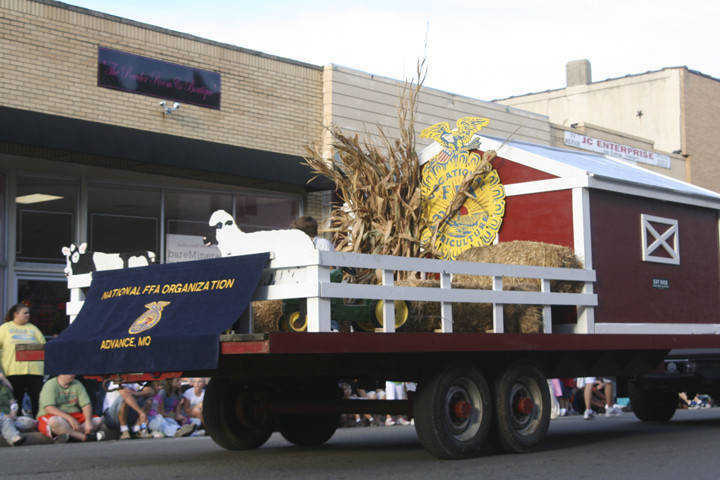 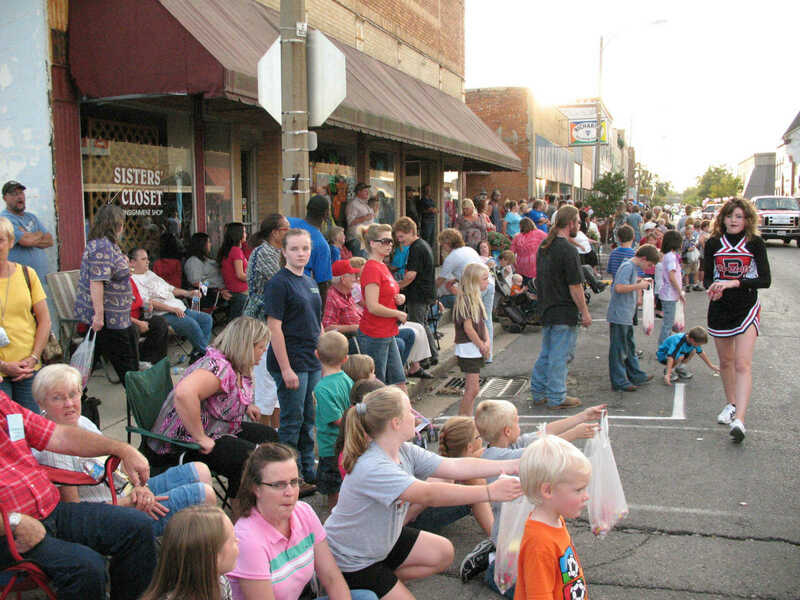 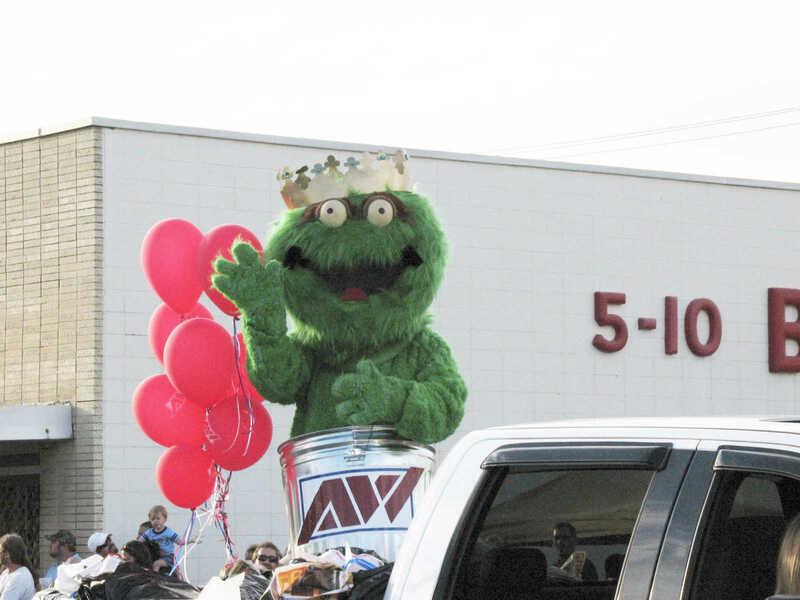 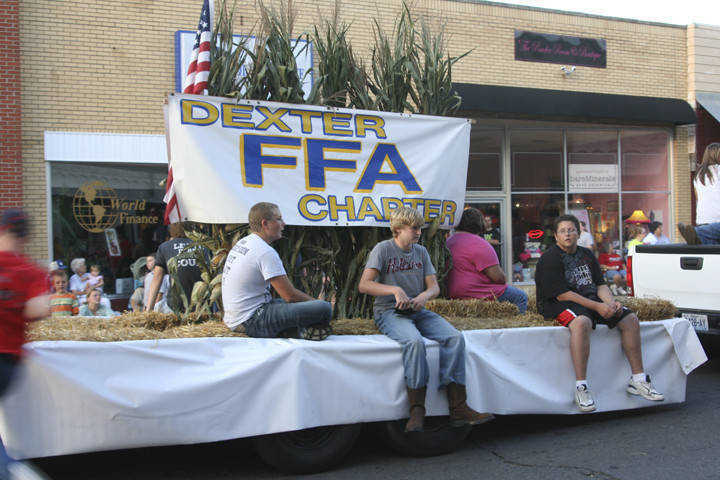 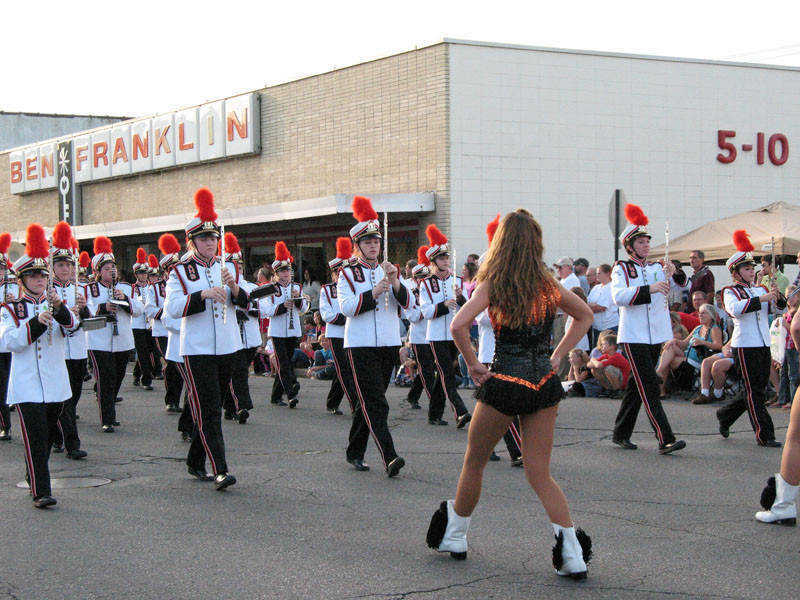 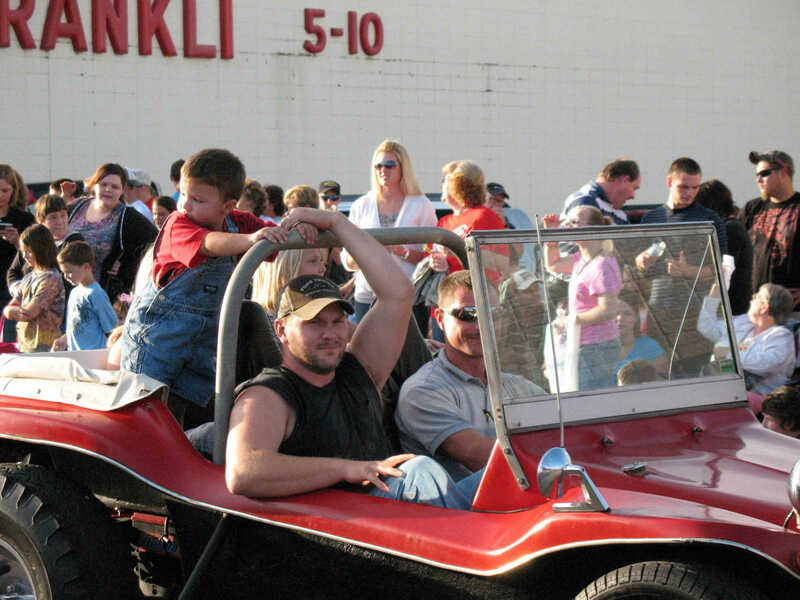 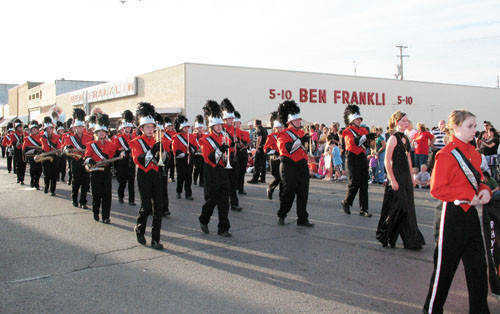 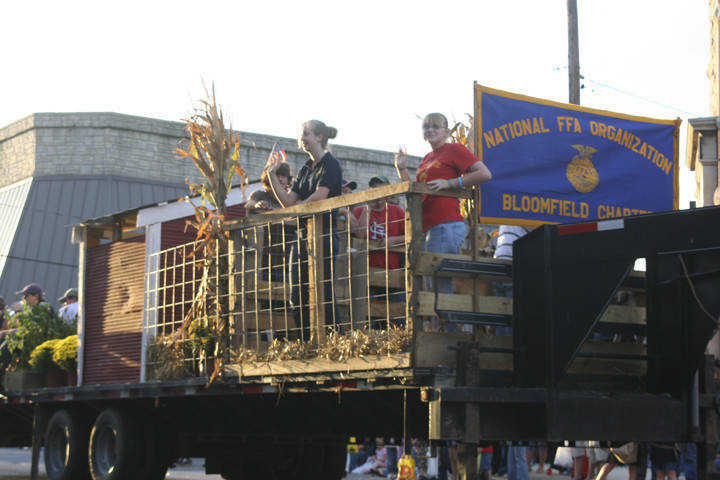 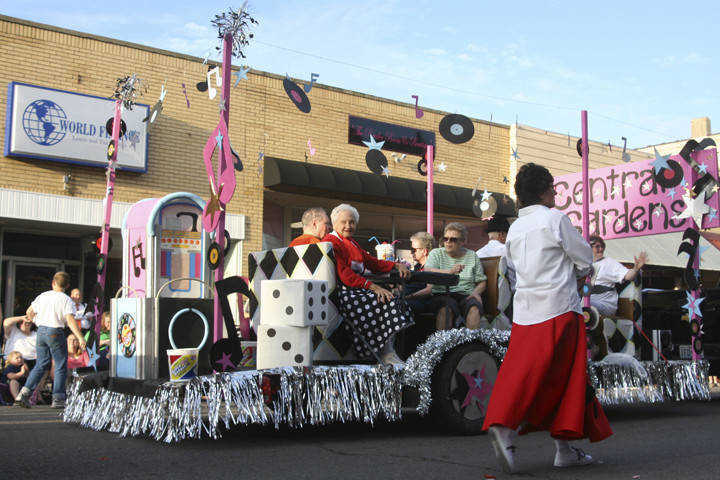 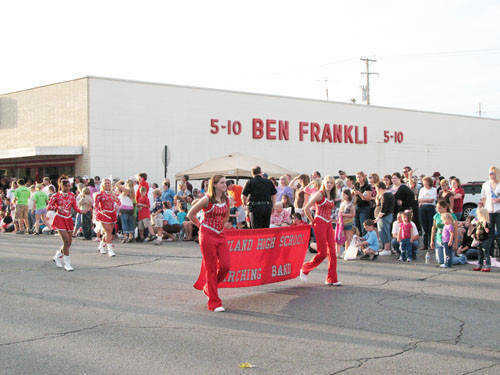 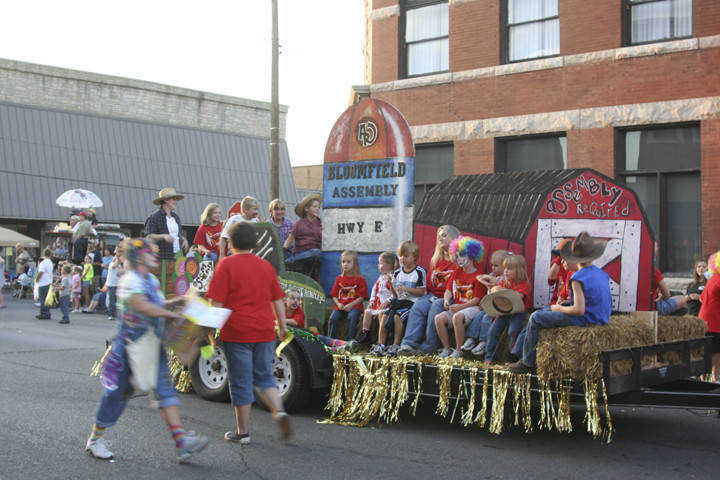 Enjoy some sights from the 2009 Stoddard County Fair Parade, and fun from the fair grounds! 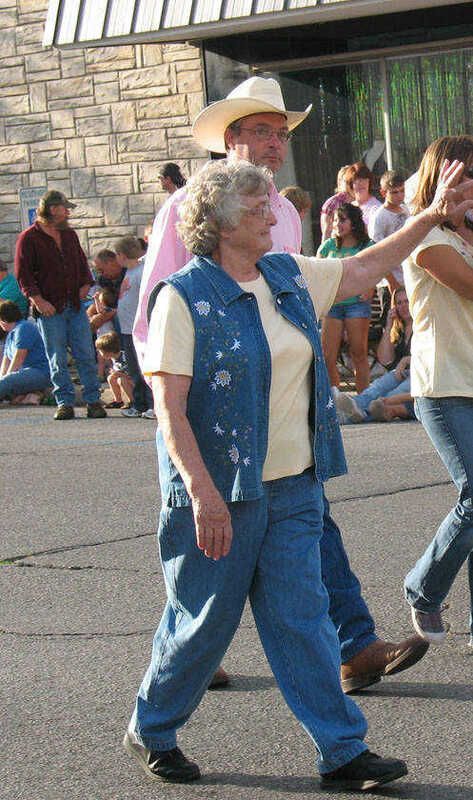 Parade Marshall Irene Huey led the parade down Stoddard Street. 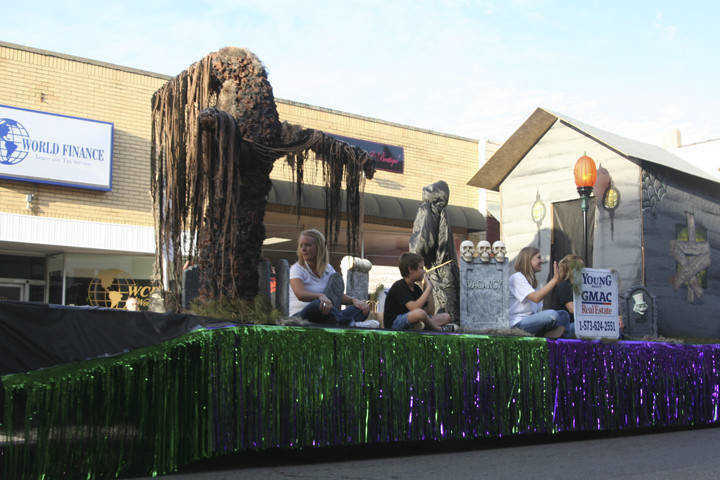 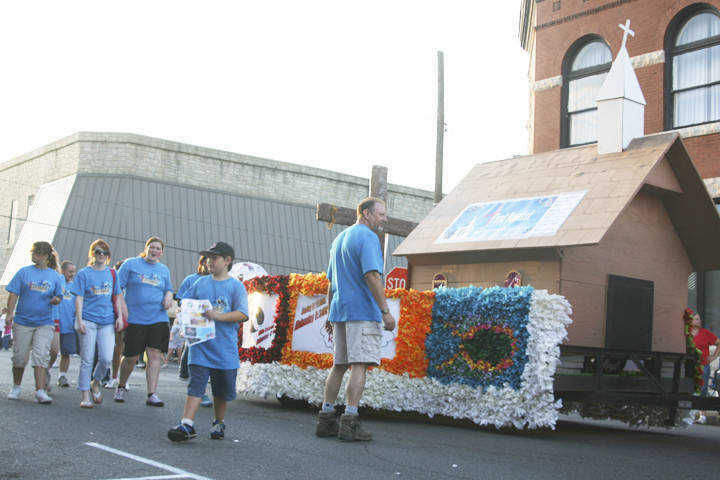 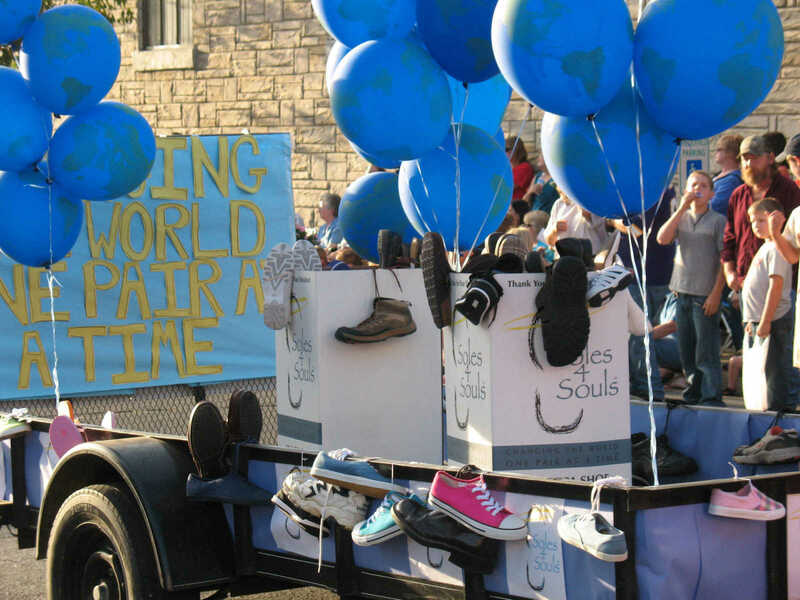 First Christian Church's Soles for Souls float was among 27 floats in Tuesday's parade that kicked off the Stoddard County Fair. 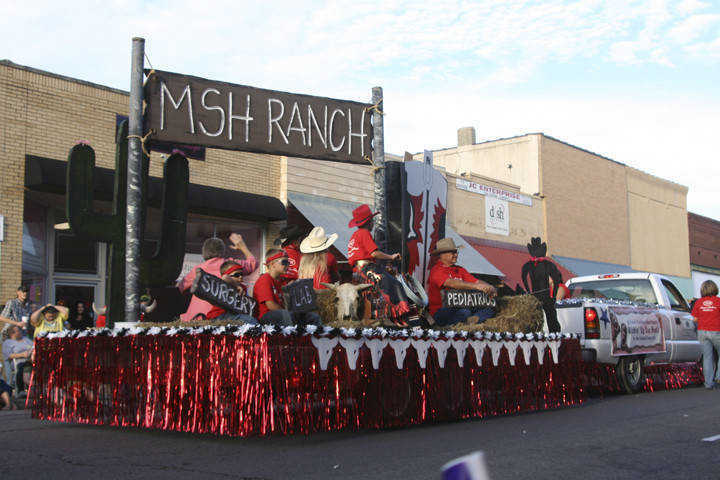 Tamara Terry rides atop the float callig for Multiple Scherosis awareness. 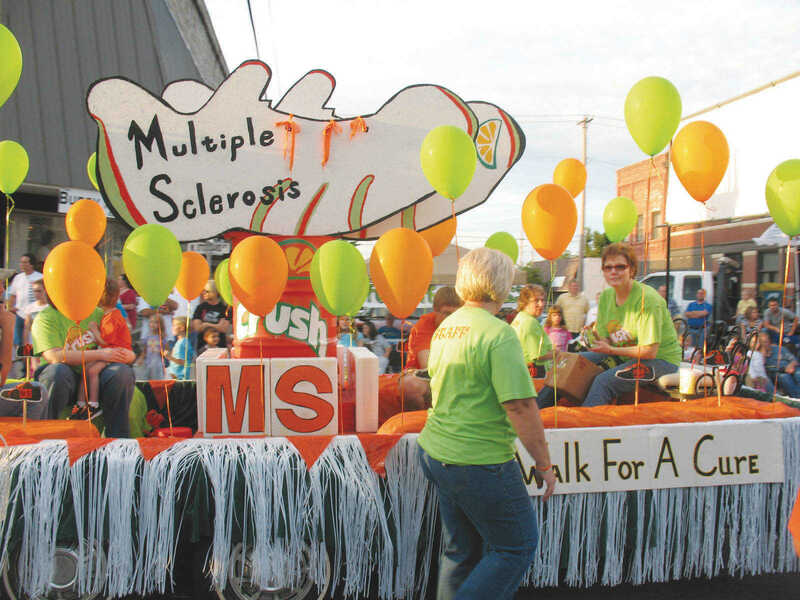 The MS Walk will take place at West City Park this Saturday beginning at 4 p.m. 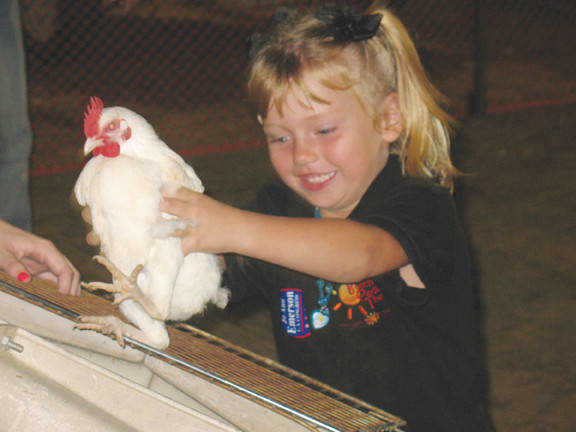 The kiddie ferris wheel is always a big draw for youngsters at the Stoddard County Fair and Tuesday night was no exception. 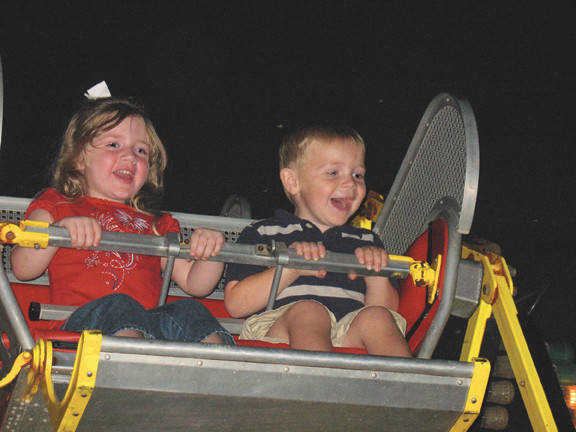 Friends Madilyn Asher and Baylor Sceseink from Bell City share a moment high in the sky overlooking the lights on the midway below. 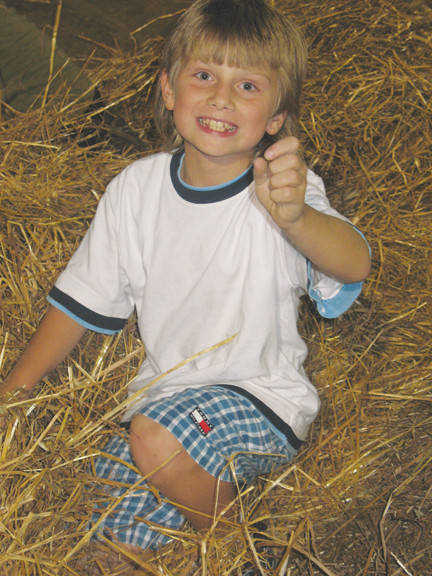 Dylan Mims elates at finding a quarter hidden in the hay during one of the Youth Games held in Arena A at the fair. 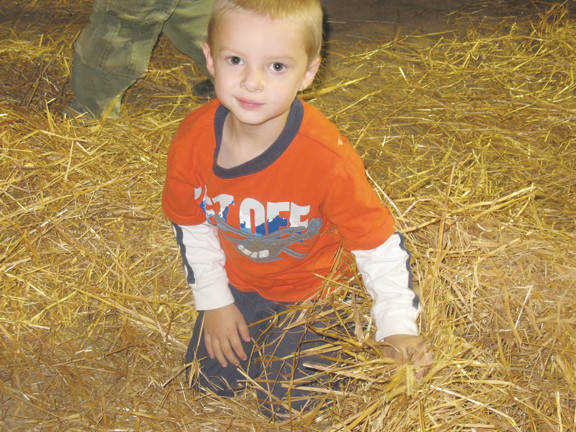 The 10-year-old was among several who took part in the Youth Games Tuesday night. 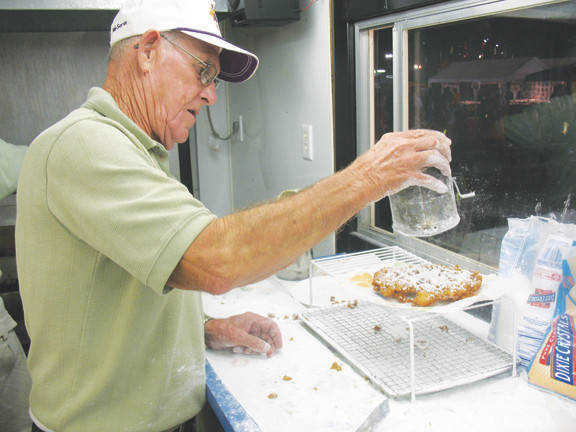 Bill Rhodes of Dexter Lions Club puts the finishing touches on an order of funnel cakes, one of the Stoddard County Fair's specialties. 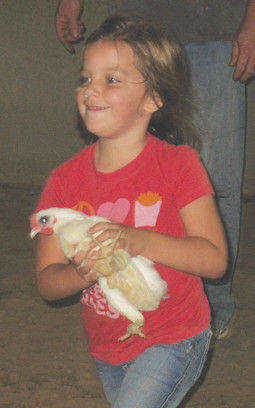 Logan Holman made quick work of catching her bird and running to tag the next relay player during a raucous "Chicken Run" in Arena A.
Kendall Mooy takes a break in the hay as he joins other youth hunting for hidden quarters and washers that, once found, were traded in for tickets to ride on the midway.